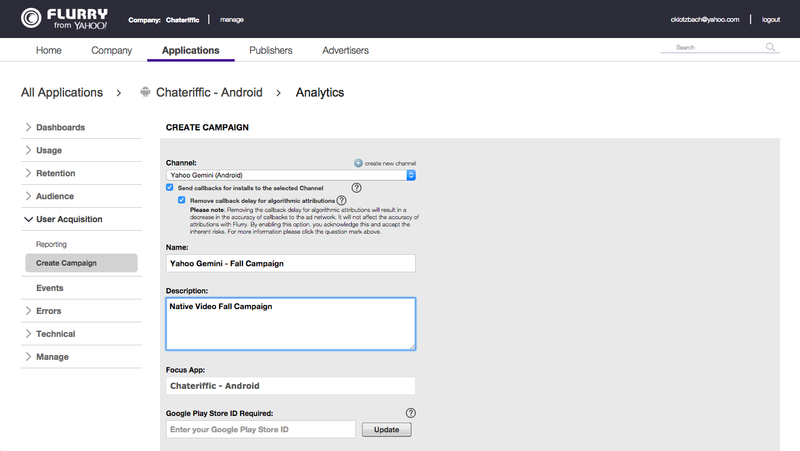 Track in-app actions your users take and gain insight from how they are using your app. 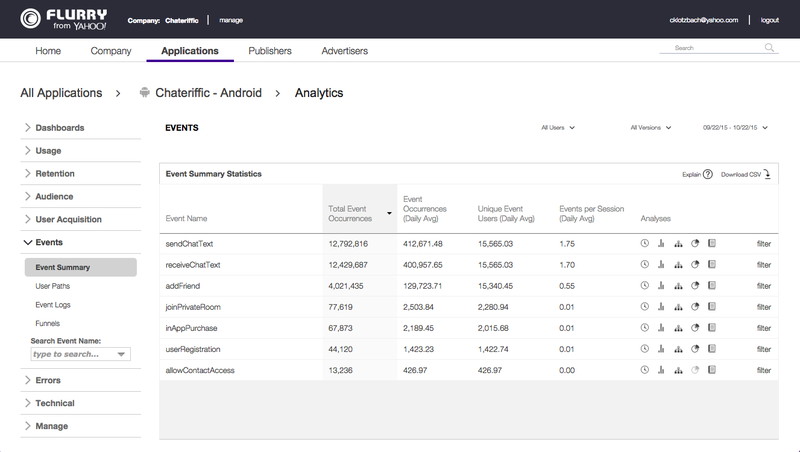 Understand and visualize usage trends, how users progress through the app and what events they are conducting with User Path analysis. Segment user actions by app version, usage, install date, age, gender, language, geography and acquisition channel. Discover how your users progress through specific paths in your app. See where they are having issues and discover where those users who did not complete the process drop off. Leverage this insight to maximize the number of people who complete these paths. Measure user churn within your app. 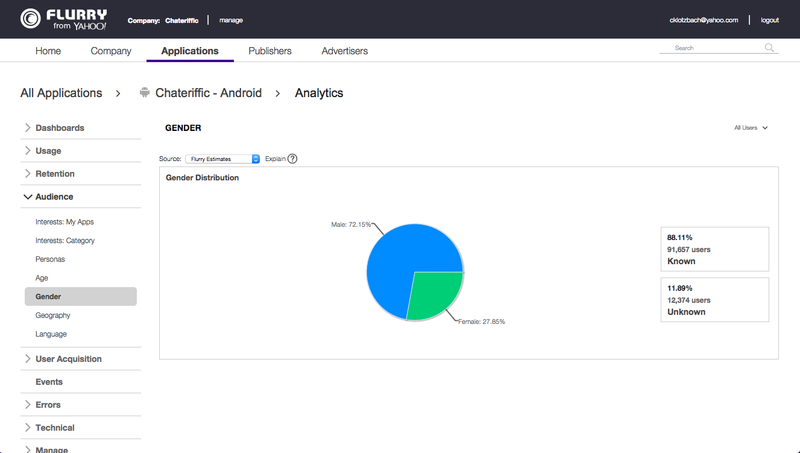 Understand the percentage of users that come back to your app to assess the vitality of your business. Layer on Segments to dive deep on specific user groups or acquisition channels. 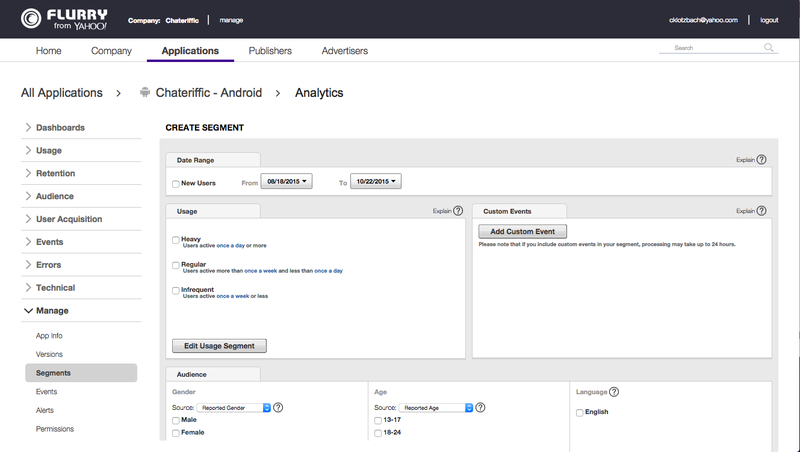 Analyze how different groups of app users vary in their usage and behavior. 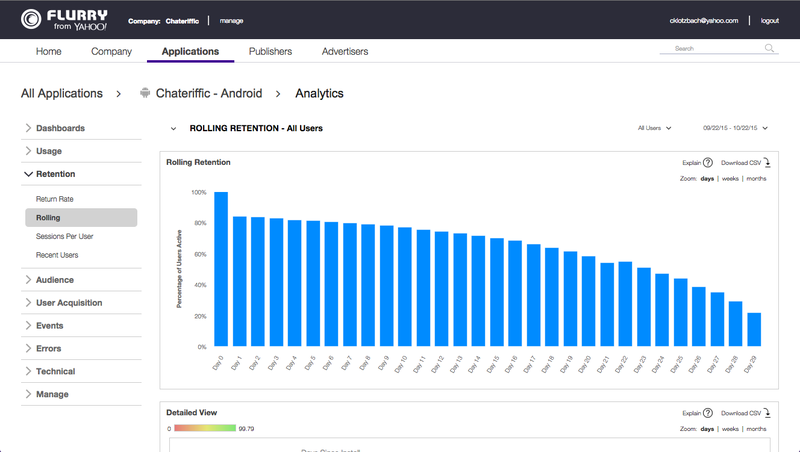 Build and layer segments across Usage, Retention, Funnels, and User Acquisition reporting to understand which set of users are most valuable to your business and what they are doing in your app. Get to know your users. Leverage Flurry Personas to understand user interest and intent. 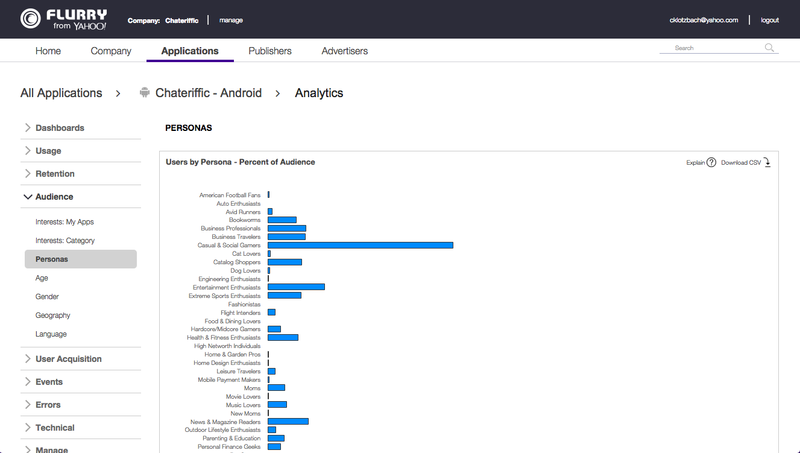 Personas are populated by users who exhibit recent usage patterns within a specific collection of apps. Personas include Business Travelers, Pet Owners, and New Moms, among many others. Report out on users declared age and gender if you collect it from them. If not, utilize Flurry’s machine learning and panel of 40 million devices to predict with accuracy you user’s age and gender. 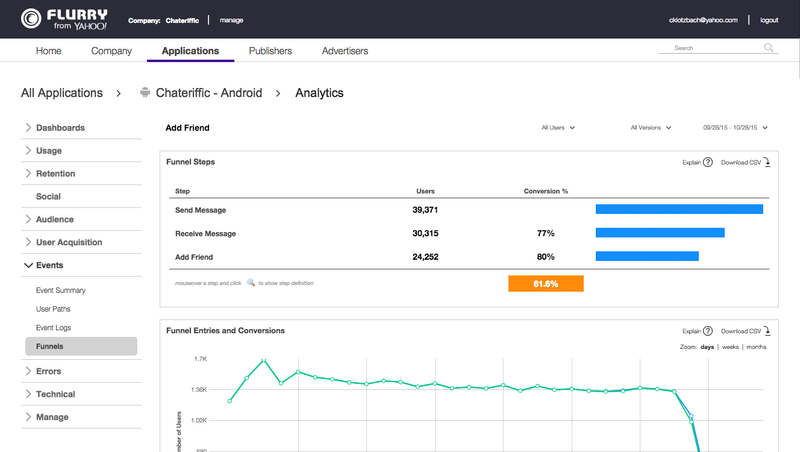 Monitor your user acquisition efforts and measure the impact of specific campaigns or channels on your user base, and therefore your business.